Korea's Information Society: The sudden rise of fintech! 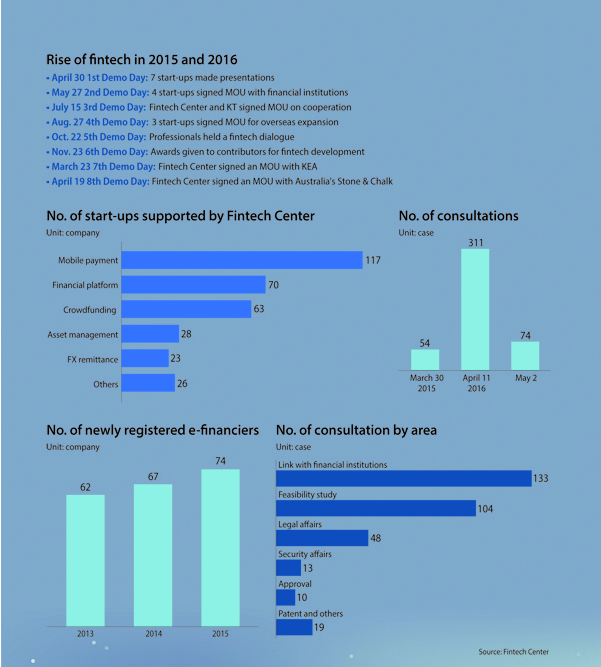 The Korea Joongang Daily (English edition) carried an interesting article today on the rise of fintech in Korea. The rapid development is deeply ironic, given the recent history here, including prolonged reliance on Internet Explorer and Microsoft's Active-X plug-in long after most companies, countries and Microsoft itself had stopped using it. Click on the attached graphic to see a full size version.